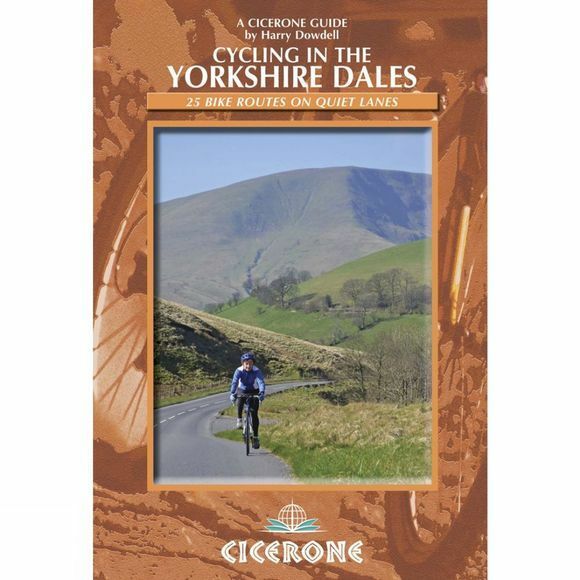 Making up the mid-section of the Pennines, the Yorkshire Dales is a landscape of great contrasts, every dale different, for the cyclist the network of quiet roads and lanes fringed with cycle-friendly cafes and pubs offer many happy days exploring. This guide describes 23 day-routes, graded by a combination of distance, climb and overall gradient, all suitable for road bikes and illustrated by detailed maps and profiles. In addition a six-stage tour takes in all the highlights, including Grassington, Leyburn, Hawes, Kirkby Stephen, Ingleton and Settle. And for those who really want to test themselves, the route of the Stage 1 of the 2014 Tour de France, a 206-kilometre loop from Leeds to Harrogate, is also included, with an option to close the loop without adding many extra miles. Appendices include a route summary table to help you choose your route, lots of information about facilities for cyclists along the routes, taking bikes on public transport and basic bike maintenance.